I met with Terry Bering, the cellar master at J. Rochioli Vineyards since 1990, and we talked at length about his latest release and winemaking experience at Rochioli. Terry has been crafting Pinot Noir with grapes from Rochioli Vineyard since 1992 under his own label, Castalia, which refers to Apollo’s favorite spring on Mount Parnassus in ancient Greece that bestowed drinkers of the spring gifts of poetry and inspiration. If you like Rochioli fruit, and I don’t know anyone who likes Pinot Noir that doesn’t, and you aren’t a member of the Rochioli mailing list in good standing, you only have a few options: Castalia (from the Rochioli River Block Vineyard and a nearby vineyard adjacent Williams Selyem planted with Rochioli West Block cuttings), Alysian (Gary Farrell’s latest label), or Gary Farrell Vineyards & Winery. There are others who source Rochioli fruit, but they are not permitted to put the Rochioli name on their label so you are on your own with those wines. The 2011 vintage was a lean one at Rochioli. The weather was cold and rainy until June which led to considerable shatter and the harvesting of only half the crop of a normal year. The 2011 Castalia Rochioli Pinot Noir is a shade lighter with less alcohol. Terry calls it, “A classic Pinot Noir that gives you that Pinot High.” His wine is still a little closed in and if he had his choice, he would keep it in bottle for a year before release. He believes his wines hit their stride about a year after bottling (December 2012 for the 2011 vintage). Terry had to put some Rochioli Estate wine in his blend since yields were so low from his usual sources of Rochioli River Block Vineyard and a nearby vineyard on Westside Road. He is not currently using any whole clusters, only whole berries, but says that there are experiments ongoing at Rochioli with four vineyards using some whole cluster. He finds whole cluster gives the Rochioli Pinot Noirs a more candied cherry flavor presumably due to the carbonic maceration. Terry says it will take a few years to decide whether to implement whole cluster in the Rochioli and Castalia wines. The 2012 vintage looks promising and better than either 2010 or 2011 at this stage. 2012 was one of the biggest harvests ever at Rochioli, producing exceedingly high gallons per ton, but it was an orderly and manageable harvest. 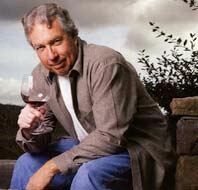 That said, Terry never judges a vintage too early, saying, “Pinot Noir is just too unpredictable.” He recalls, “I made a Pinot Noir in 2005 in my garage that I absolutely hated for three years. It eventually came out of its funk and is one of my favorite wines that I have ever crafted.” However, it was an orderly harvest making it quite manageable. As a Rochioli insider, Terry can talk at length about the character of the Rochioli fruit. He says that the most desirable flavors and textures do not appear in the wines until the grapes are very ripe. This has required some watering back in certain vintages to avoid high alcohols. When I sat down to taste with Terry, there was a bowl of cherry cordial M & Ms on the table. I didn’t think much about it. In time, Terry told me he discovered that these candies went really well with his Pinot Noir. I tried the match, and surprisingly, he was absolutely correct. Castalia Pinot Noir is sold through a mailing list and the website at www.castaliawines.com. The wine is offered for sale in 6 and 12 bottle lots and in magnum format. 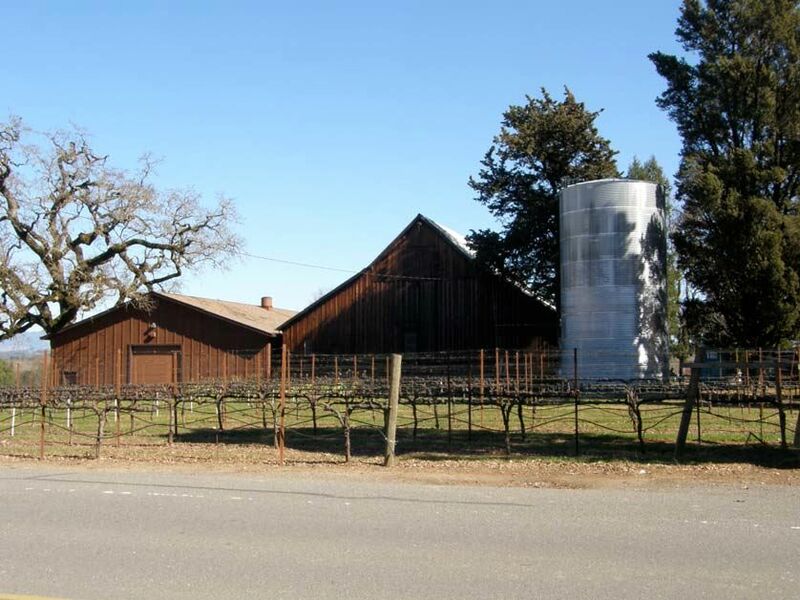 Rochioli winery on Westside Road, where Terry crafts his wine, is pictured below. Why buy this wine? Two words: Rochioli fruit. 14.5% alc., 300 cases, $55. · Moderate reddish-purple color in the glass. Very bright and spicy cherry aroma which builds in intensity over time in the glass. Ornate cherry flavor with accents of Chinese five-spice, cola, anise and oak, displaying soft tannins, no rough edges, and finishing with a hi-tone cherry presence and juicy acidity. More body and nuance the following day from a previously opened bottle. I would suggest cellaring for a year. Very good.